With the Revival and the Festival of Speed, the Earl of March already has two highlights on the historic motor racing calendar, so why would he add a third? Well, said annual gems have become mass events over the years, each attracting hundreds of thousands visitors, and even with the self-imposed attendance limits that are now in place, the crowds can still be quite overwhelming at various places around the track (in the case of the Revival) or the estate grounds (in case of the Festival). So it was felt it was time for a smaller event in a cosy, relaxed atmosphere. 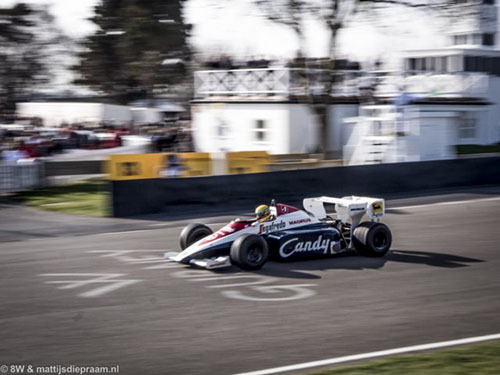 This would be members only: for Goodwood Road Racing Club members and their guests, and by members and their guests, with access all areas for anyone attending. There was history involved as well, since the new event would be a continuation of the 71 Members’ Meetings held in the fifties and sixties. A suitable date was found at the start of the season, meaning that the 72nd GRRC Members’ Meeting – the first to be held in the 21st century – promised to become the new de facto curtain-raiser for the historic motor racing fraternity, at least its English-speaking section, which is by all accounts by far the largest anyway. At 8W, the concept was welcomed with open arms, and we signed on for the event as soon as we returned from the 2013 Revival. 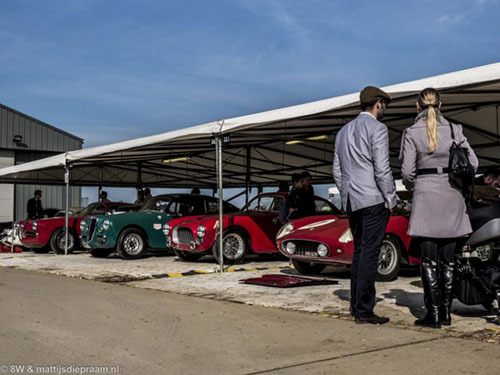 The well-known Brooklands adage that was adopted as the Members’ Meeting motto – the right crowd and no crowding – seemed the perfect recipe for a weekend of fun, giving the members something extra for their continued support. But apparently, we were in a minority. For months, the Club sent requests pleading members to join the fun. We were even personally telephoned after which we could hear a party erupting at the other end of the line when we confirmed our attendance. It looked like we were in danger of being a tiny crowd with absolutely no risk of crowding at all – the idea of a very private party might be splendid to some, but who was going to fork the money to pay for that? In an effort to bolster ticket sales, the number of guests each member was allowed to introduce was doubled, and then people on the GRRC waiting list were beginning to receive overtures. A week before the meeting’s end-of-March weekend dates, offers went out to subscribers to the Autosport and Autocar magazines. So it wasn’t going to be a meeting for members only, and with how many members would we be able to shake hands? There was no apparent reason to stay at home either. 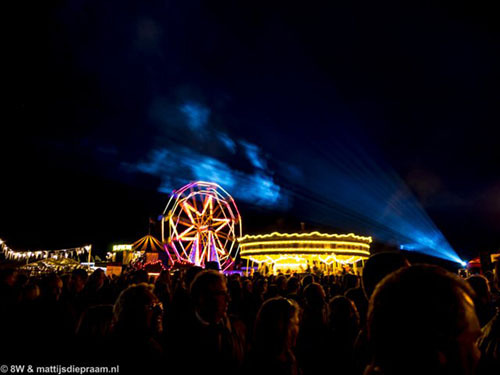 The programme combined the best of the Revival and the Festival. Several races were copies of Revival races, with the same cars and drivers, even held in the same order. 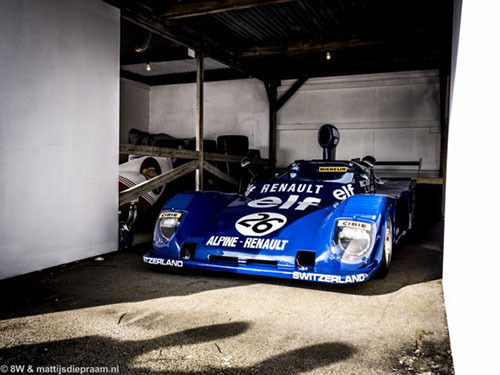 Some good bits of the Festival were added in the shape of a Group B rally sprint, and demo runs by glorious Le Mans prototypes and eighties F1 turbo cars. The all-Bugatti pre-war race promised to be a unique event in itself. 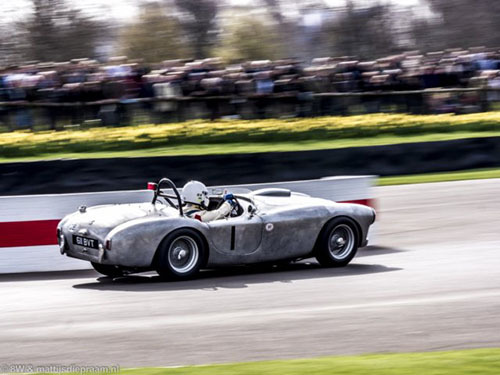 In the end, we needn’t have worried, as the attendance figures turned out to be spot-on, to our wishes at least – and since Lord March has already announced the 73rd edition of the Members’ Meeting, it seems was good enough for Goodwood itself as well. To us, the meeting attracted just the right number of visitors: enough not to feel lost in a place that seemed abandoned, but never too many, providing ample opportunity to find the right track-side viewing locations – with all visitors treated as equal, we could now suddenly see the action from the pit roof, the inside of the chicane, and the outside of Woodcote, to name but a few locations that are either reserved for VIPs or hugely overcrowded during the Revival. Watching the Woodcote action lying in deck chairs was an experience that was hard to top. Also, you never needed to wait very long for an unblocked view of any car in the paddock. As well as that, the Members’ Meeting immediately showed the hyper-organised quality that the Festival and Revival are known for, but the Earl’s team still managed to surprise us with their eye for detail – where else will you see a race track entirely lined by daffodils? We thought that was brilliant. The Moss Trophy race, however, was even better and undoubtedly the true highlight of the weekend. Run into sunset as the final race of the first day, the Members’ Meeting take on the Revival’s RAC TT Celebration proved to be nothing short of sensational. At the start, Rob Hall stormed into the lead in the Ferrari 250 GT ‘Breadvan’, harried by Jackie Oliver in the yellow Ferrari 250 GT SWB/C. Oliver’s plan was obvious. If he could keep the Breadvan in sight, he and team mate Gary Pearson – the winningest driver in modern Goodwood history – would have it easy in the second half of the race, since the Ferrari’s new owner Max Halusa isn’t half as good a driver as its former owner Max Werner. But on lap 19, Oliver had to pull out at Lavant with a rear blow-out, leaving Hall to punch out a massive lead over the Cottingham’s E-type, the DB4 GT of familiar pairing Wolfgang Friedrichs and Simon Hadfield and the second Breadvan in the race, the unique Lotus Eleven GT run in splendid Ecurie Ecosse livery. After having used the absolute maximum of his allowed track time, Hall was finally forced to hand the Italian Breadvan to Halusa, who proceeded to set a markedly slower pace. In the space of one lap, Halusa was overtaken by the Cottingham Jag, the DB4 GT (now in the hands of Hadfield) and the tiny Lotus. Soon, the latter two in turn jumped the E-type, leading to a battle royal at the front between David and Goliath. Every lap, Hadfield in the Aston Martin left the Lotus for dead on the straights, but Ollie Bryant, having taken over from Ecosse team mate Joe Twyman in the nimble Scottish-coloured Breadvan, was back in the corners. Twice, young Bryant forced himself alongside and past the DB4 GT into Lavant, but twice the Aston simply powered back into the lead. This was old-school motor racing, in which aerodynamics only play a minor role and don’t have the effect that a battle for position is over once the decisive move is made, as is the case in most racing today. After that, Hadfield kept the car in front, in a repeat of his epic 2013 RAC TT triumph. The man is truly in a class with very few others in historic motor racing. 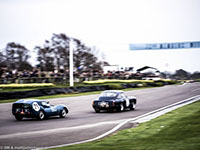 Most of the other races also brought some marvelous battles for the lead, including the final race of the event, the Salvadori Cup, which was a re-run of the Sussex Trophy that traditionally brings the Revival weekend to a close. And so it was made easy to stay to the very end. Of course, the weather helped. A lot. This first Members’ Meeting of the century was held in extremely favourable conditions, the spring sun shining unusually hard, softened by a pleasant sea breeze. But it isn’t usually so in March, as the appropriately named Earl will know. It could just as well be that next year our Dunlop wellies will be of actual use rather than a mere pseudo-aristocratic fashion statement. However, as we saw during the latest Revival, bad weather is always a good way of sorting the men from the boys. In the case of March 2015 bringing rain and mud, the old Brooklands adage will certainly be tested to the maximum. If the Members’ Meeting is able to survive that kind of ordeal, it will be a set fixture for the future.